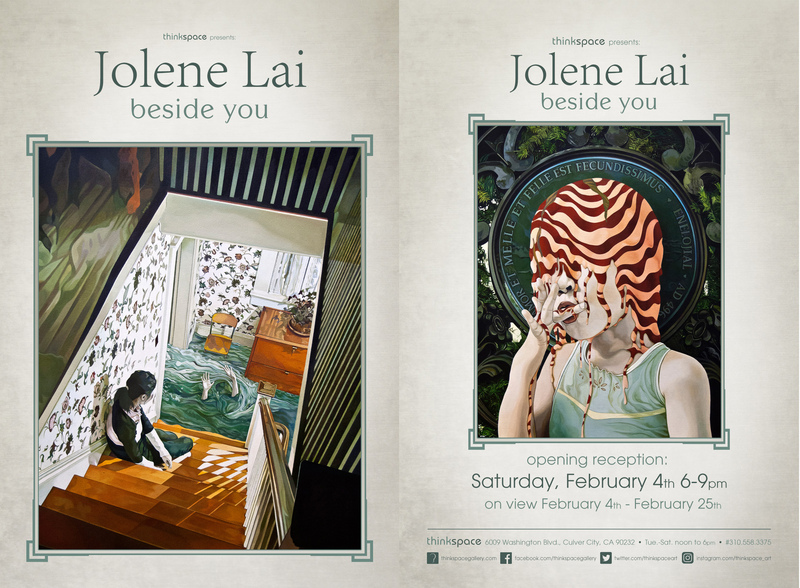 Thinkspace is pleased to present new works by Jolene Lai in her third solo exhibition with the gallery, Beside You. Known for her narrative paintings in which characters are caught somewhere between dream and dread, Lai reimagines archetypal stories drawn from myth, Chinese folklore, and fairytale and transforms them into surreal compositions. By combining the uncanny with familiar scenes and contexts from the everyday, Lai arrests our imaginations in a state of suspended disbelief. Her world is full of contrasts, extended metaphors, disorienting manifestations of fantasy, and hallucinatory dreamscapes weaved into otherwise familiar settings. In Beside You, Lai explores a progression of childhood scenes gone strangely awry, where the imagery is both whimsical and increasingly phobic. The playful naiveté of the children’s story ebbs into an ever encroaching sense of darkness and ends, entangled, in shadowy linings. Beside You is a world of melancholic nostalgia in which a little girl can as easily dissolve into candy as she can laugh amidst a city invasion of monster octopi. 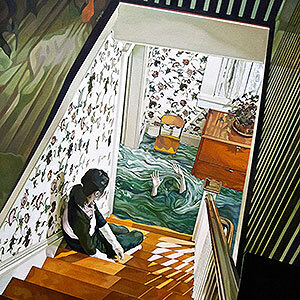 Here, a house fills with water as a quiet onlooker observes the descent of the drowned, and a carousel horse bursts through an otherwise ordinary domestic interior. There are no impediments to the possible here; it is a world unhinged from plausibility and law. 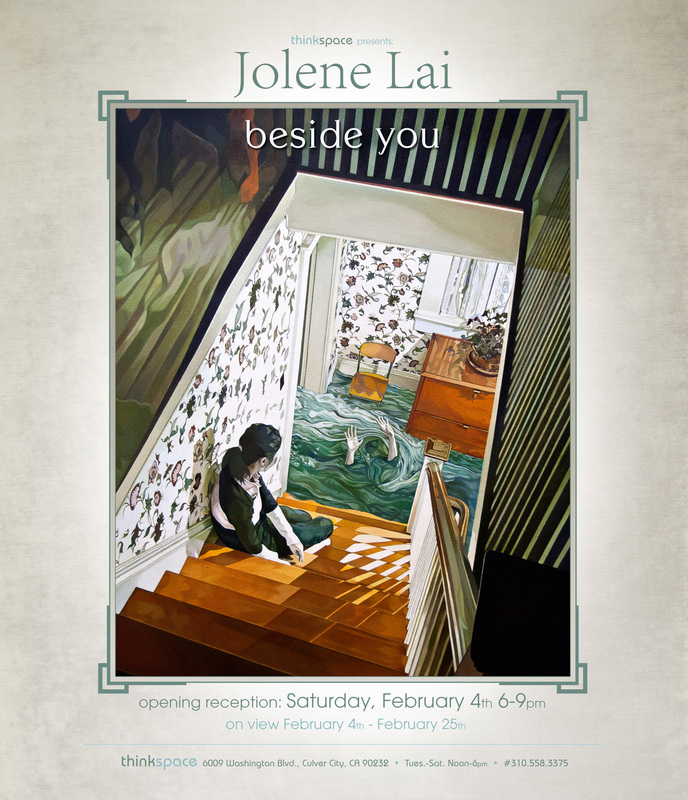 When we look at Lai’s work in Beside You, we are asked to project, to infer, and to create stories, to draw from the trappings of our own memories. A mirror to our fantasies and subconscious, Lai’s work pulls us into the thick.